Ready for a bun fight? Commercial property is a controversial asset class, even among passive investors. Okay, we’re not talking the “Let’s take this outside!” fury of the gold bugs, or the evangelism of a Bitcoin absolutist. But it’s surprising how much controversy an out-of-town office park with easy access to the M4 can inspire. Yea! Commercial property fans say it offers diversification away from shares, without giving up as much potential return as cash and bonds. Property gets its own allocation in several popular model portfolios. Nay! Detractors say the diversification benefits are not proven, that most of us already have exposure to property through other shares and even our own homes, and that the assets themselves – big buildings that are expensive and time-consuming to sell – are ill-suited to retail funds. Many model portfolios skip property altogether. Who’s right? Let’s consider the pros and cons of commercial property and you can make up your own mind. Academics place commercial property somewhere between shares and fixed income in terms of risk and return. This makes sense if we think about the bricks and mortar reality of property. While the specifics vary, a commercial property – an office, hotel, warehouse, or apartment block – is basically a building that is let to tenants. Out of these rents, the building usually pays its owner an income. This cash flow is roughly akin to the coupon you get with fixed interest such as a bond. Think more a riskier corporate or high-yield bond than a government bond, though. The rent from a property is not guaranteed, and the future value of the property is not certain. The sort of tenants you have may determine how confident you can be as a property owner that they’re going to pay you on time. You may even agree a lower rent with a higher quality tenant. Government bodies or blue chip firms on long leases are safer. Properties let to them are akin to better quality bonds. Here your property looks more like a very high-yielding, riskier, corporate bond. We should consider, too, the upkeep of property. Buildings don’t repair themselves. If you own your own home, you already know property can be a money sink. It’s not just the maintenance and repair. There’s also the cost of keeping up with technological advances and fashion. Walk around the oldest part of your town. There are no outdoor toilets. Central heating and mains plumping will be universal, even in 200-year old buildings, as will be insulation and glazing, lifts and escalators, communications cabling, and so on. All those upgrades took money. Keeping your property modern and competitive is an ongoing business. This is the more business-minded, equity-like aspect to property. Landlords spend to maintain or increase their properties’ value. Such outgoings are another claim on the cash flows coming from rent. What to best spend money on is a judgement call. That’s very different to a bond. From the investor’s point of view, a bond just sits there paying out cash until it’s redeemed.1 It is a more straightforward investment. On the other hand, compared to most equities, a property is a pretty stable asset. Many companies strive to reinvent themselves just to keep their customers. The property sector does change, but the pace is slower. Property is also a real asset, like shares, gold, and ‘valuable stuff’ like antique chairs. Real assets can increase in value with inflation, unlike paper assets such as banknotes or most bonds. The latter2 are redeemed at a pre-set face value, which means their spending power will be shrunk by inflation. 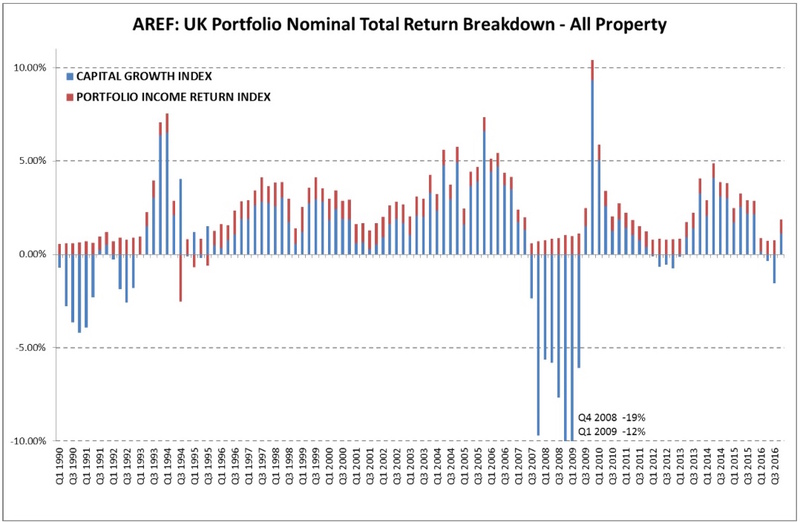 Boil it all down and you see property is a real asset that is a bit of a bond/share hybrid. No surprise then that the risk versus return profile sits between shares and bonds. Note that some listed property companies (including some REITs) do a lot of development work. This involves planning and building properties, and perhaps trying to let them out before selling them on. Where development makes up a significant portion of their business (as opposed to letting out finished buildings) I’d say such REITs should be thought of as even more like equities than bonds in terms of risks, rewards, and volatility. You always need to look under the hood of any property investment, be it a passive fund or an actively managed trust, to see exactly what you’re getting. I’ve gone into this granular level of discussing single buildings with leaky roofs and dodgy tenants to explain the fundamentals of the asset class. Fear not – as private investors we won’t be haggling over factories or running office blocks ourselves. Instead we pool our money into funds. This way we can own a bit of many buildings or developments. Diversification across an asset class like this reduces the risks compared to buying your own entry-level commercial property, such as a newsagent or a commercial lock-up. Property funds enable you to get exposure to the underlying asset class with a single purchase. Many pay out a fairly high income, too, reflecting the income-generating nature of most non-speculative3 property investment. But funds come with their own difficulties, too. We’ll get into them in a follow-up post. So far I’ve described commercial property through my lens as an active investor. I just can’t help thinking about how underlying businesses work! But if I were my sensible passive investing co-blogger, I’d focus on property’s historical returns. There’d be nary a mention of leaky roofs or unreliable tenants. You say, toe-may-toe, I say, tom-ah-toe – let’s do it his way before he calls the whole thing off. 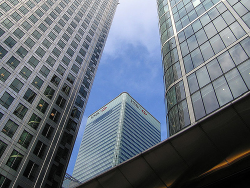 The Financial Conduct Authority (FCA) recently published historical nominal4 returns for commercial property from 1990. It also gave the return expectations that it was comfortable with pension funds and advisors using in their forecasts. The average annual nominal total return from commercial property from 2001 to 2016 was 7.7%. The median annual nominal return was 9.9%. These returns are at the property ownership level – that is, as if you owned the building yourself. They exclude the impact of development costs and transactions. Now, huge pension funds and life insurers do own some property directly, as well as using funds. But private investors like us will struggle to scrape together the money for a tower block in Docklands. We’re interested in the return from the property funds, ETFs, and listed company shares that we use to gain exposure. And you can be sure we will have to pay some costs. The average yearly nominal total return for property at 6.3%. The median yearly nominal return at 9.4%. The average and the median returns were 6.5% and 10.1%, respectively. These returns came with huge volatility, especially during the financial crisis. If you owned property in 2007 to soften the impact of equity market falls, you might have asked for your money back. That graph shows us another important characteristic of commercial property – in many years, income (the red portion of the bar) is a sizeable portion of the return you get from property. The income component of the return is also far more stable than the feast and famine of capital gains. Be sure to hold your property assets in a tax shelter such as an ISA or SIPP where possible, to avoid this income being scythed away by taxes. This may present tax issues outside of tax shelters. See this handy explainer from British Land. It’s clear the financial crisis of 2007-2009 clobbered returns, as we also saw in the graph. Over the shorter period since 2010, returns have been good. But half a dozen good years is a thin track record to hang your hat on, even if you believe the financial crisis was a once-a-generation event. Some property skeptics such as Lars Kroijer argue that we simply don’t have enough long run data to justify investing in this asset class specifically8 – at least not as private investors. You may retort that individuals have made famous fortunes wheeling and dealing in property directly. But this experience may not prove to be very analogous to owning a stock market-listed REIT in an ISA. On the other hand, Tim Hale of Smarter Investing fame believes the (short-run) data is good enough to justify adding a global REIT to a passive portfolio. Property tends to have a low correlation to equities, providing diversification benefit, as property performance is usually linked to rental value, in turn linked to economic growth, unlike the earnings of non-property companies that are less correlated to economic growth. While I broadly agree, I’d caution that Hale’s correlation data does not seem hugely extensive. It’s unclear from his book, but as best I can tell it seems to be drawn from the 20-year period from the 1990 to around 2009. Also, given that interest rates mostly fell throughout those years – eventually to near zero – I wouldn’t describe it as a wide range of environments to draw conclusions from. I’m also unclear as to whether Hale has backed out currency swings when he compares a global REIT to UK equities. Again, over such a short time frame, currency risk could be a meaningful contribution to relative returns. Summing up, property valuations can be almost as volatile as equities, but the income is generally much more stable, giving us a mix of the characteristics of equities and bonds. In addition, property itself tends to be illiquid, due to the expense of buying and selling. This may or may not be the case for your chosen investment in the short-term10 but it stands to reason that long-term, property holders will probably get an additional return for putting up with this illiquidity with their risk capital. What’s it all worth, in terms of expected returns? Finger in the air – probably a bit more than owning very liquid bonds, but a bit less than owning very volatile equities. We assume a spread over government bonds of 3% to 4%, over a 10-15 year time period. This implies a real return on property of 2.5% to 3.5%, based on the midpoint of real government bond returns of -0.5% and nominal returns of 5% to 6% based on a GDP deflator assumption of 2.5%. This expected return guidance from the FCA is lower than it recommended just a few years ago in 2012, incidentally. The reduction follows a corresponding drop in its projected real returns from government bonds. As I’ve mentioned many times, you can’t just look at rock bottom government bond yields and presume everything else is that much more attractive – at least not if you believe in classical economy theory. Government bond yields underpin expectations elsewhere; they are the ‘gravity’ of financial markets, as Warren Buffett puts it. If forward returns from government bonds are low, then the market has its reasons (it fears recession, or doubts we’ll see inflation, for example). Those reasons will often affect what we can expect to see from other asset classes, too. On the other hand, while expected returns are a key part of passive portfolio construction, I wouldn’t bet my life on them. Forecasting is fraught with difficulty. Property, especially, seems to me an asset class in limbo. It’s been struck by a deep crisis within the past decade while also being boosted afterwards by ultra-cheap money. In addition, the world’s property estates face a secular upheaval from the shift to online shopping, socializing, and business, which could permanently impair the demand for some property, or at least force more refurbishment and regeneration. Don’t get me wrong, I think the asset class has its attractions – and UK REITs focused on London seem to me a potential bargain right now. But I’d suggest a modest allocation of about 5-10% is about right for most passive and active investors, given the risks, prices, and economic backdrop. In a follow up article I’ll look at how you can buy into property without dealing with a single suited geezer or donning a hard hat. Subscribe to make sure you get it! Very interesting analysis. 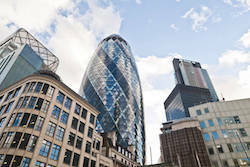 You mention that UK REITs focused on London seem to be a potential bargain. Given London’s sensitivities to Brexit in light of its strong EU workforce and the prospect of staff relocations by some banks, I would have thought that waiting a few more months would have been better. Despite Brexit and more people leaving London, do you still think now is a good time to invest? Thanks. A great and very timely article. I recently sold an REIT (BBOX) and was looking today at buying BLND with a yield of 4.88% as part of a long term buy and hold high yield asset. It’s a shame that there is no low cost REIT ETF tracker available to UK investors (unless there is and I don’t know about it)., the best I have seen has fees of 0.4% – meaning you could mix and match yourself and save that fee. Additionally, owning REITs/Housebuilders might be a good hedge against the evils of house price inflation for non-homeowners but for homeowners/mortgagees in a £250,000 house, investing an extra £5000 in REITs doesn’t make a lot of sense – especially if you net worth is less than £250,000 – it’s not great diversification. @The English Investor — I’d suggest following the link to the article on that (and in turn the article that links to) and perhaps we can have the conversation there? 🙂 I don’t want to de-rail this wider conversation with Brexit/London specific chat. (Short answer for now, of course Brexit is a risk but that’s why they are trading at 30% or more off NAV). What about one of the p2p sites covering property (property partner or crowdproperty) or would you say the platform risk adds a needless additional risk vs a reit? @FBA — I wouldn’t say it’s “needless” risk, everything has a risk/reward point where it’s attractive. But from my cursory look to-date I haven’t seen the attraction. that is the best that I have found and for something which holds only 39 holdings, they charge a hefty TER/OCF of 0.40%. That’s 10% of your yield eaten in fees. @Fatbritabroad P2P property lending has more risk than the platforms will let on, REITs are safer, boring way to do the same thing. The other alternative is to go full Kevin McCloud and build your own Grand Design – that never goes pear shaped. @GFF — Yes, it is high in the modern world but it’s not high in the grand scheme of things. Also, I get why you’re doing it, but on balance I think backing the fees out of income is specious, unless there’s no expected total return via capital gains to come too, of course. As discussed let’s hold this though until part two! p.s. Sorry for the various typos in the first version of this comment, racing to reply before big meeting! 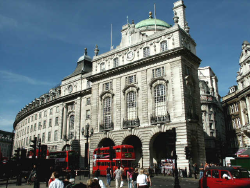 I hold a couple of UK Commercial Property REITs, and an infrastructure investment trust. In total they make up about 10% of my asset allocation. Yields in the 5-6% range. I decided against a global property ETF as the yield on them tends to be far lower, plus there is currency risk. I think REITs offer useful diversification, especially if you are building an income drawdown portfolio but also want some long term inflation protection that bonds don’t offer. Just a comment about expenditure on upkeep of commercial property: Most commercial leases are ‘full repairing and insuring’, so that it is the tenant who is responsible for upkeep – even if the roof falls in or the building needs rewiring. Most leases also specify that the building must be decorated periodically inside and out, and other clauses perhaps ‘unfriendly’ to tenants. This is in stark contrast to lets of domestic dwellings, where tenants are well-protected and landlords are responsible for far more. Having been a tenant on a ‘full repairing and insuring’ lease, I am about to become the landlord of the same building – with the property held inside my SIPP. I always thought commercial property suffered from feast and famine as developers raced to develop sites in booms, but the multi-year lead times meant they often finished in a slump. Think the Empire State Building or Centrepoint. Sometimes I feel you should be charging for your writing and the quality of research that goes on around here. Great summary! I really value REITs. The problem is that although the correlation with equities is moderate, during market crashes it approaches 0.8-0.9. And usually what investors mean when they say they want diversification is assets that don’t get crushed when stocks fall. But REITs fail us here, don’t they. That said, we may benefit from a better overall risk/reward in our portfolio in the happy times. So I’ll take that. i do have specific allocations to property in some of my portfolios. but i’m a bit on the fence about whether this is really worth doing. what i’m more sure of is that, if you do have a specific allocation, it should be based on listed property companies (including REITs), rather than open-ended funds, which can suspend withdrawals in a crisis. and may hurt their returns by holding some cash (or other liquid assets) in an attempt to avoid having to suspend withdrawals (except in extremis). i’d rather the managers concentrated on running the property portfolio, instead of second-guessing what investors might do. also struggling to see the attraction of p2p for property. much less well regulated than either listed property companies or open-ended property funds. and very likely to be illiquid in a crisis: even if there is a secondary market, it’s much more likely to dry up completely than a major stock exchange would be. what’s the advantage? 1) how good is the diversification benefit, when accessing property via listed properties companies, allowing that the latter may tend to trade at a premium to their net asset value when the stock market is booming, and at a discount when it’s slumping? 2) how meaningful is the statistical evidence of diversification? the alternative view is that property companies are just a stock market sector. would the stats also show a diversification benefit from treating any other sector (e.g. tobacco) as an asset class in its own right? if so, that would suggest this “evidence” isn’t telling us anything very useful. now, *not all* the evidence of diversification is statistical. this is why i think the investor’s discussion about the economics of owning property, compared to owning a trading business or a bond, is useful. even if you are going to take a passive approach to investing, when the discussion is over. 3) is investing for income a good idea? this is, as it happens, another question where i’m somewhat sitting on the fence. however, if income investing is a good idea, property can be a fruitful area to include in a portfolio. some property does have a decent yield. 4) complexity. every extra allocation in a portfolio adds to it. is it worth it? sometimes i wonder if i should go pure lars kroijer. but i’m a long way from that now. I was holding 5% in a Global REIT tracker, but I sold out a year or so ago (just before it out performed, natch) as I was already holding 3.3% REITS in my portfolio (according to the II Morningstar portfolio analyzer tool. Also, I reckon, as shares, REITs are doubly vulnerable to interest rate changes – as they are shares they’ll be less attractive vis a vis Gilts as Gilt yields rise – and secondly, property (any type) is particularly vulnerable to interest rate rises as many REIT developments will be funded via commercial lending. Rents may be fairly stable, but if your REIT is also developing new commercial property? And, by the by not too keen on “income investing” as you may miss out on the FAANG type stock and you’re only investing in a segment of the market, rather than the whole market. I hold the Vanguard US REITs ETF (VNQ) in my SIPP. This is very tax efficient as there is no withholding tax to pay on the dividends. The management fee is also very reasonable at 0.12%. Performance has been ok, but nowhere near as good as the S&P 500. VNQ is about 3% of our investment portfolio, reduced since purchase due to the high divided yield not being reinvested and capital performance not keeping out with the rest of the portfolio. I am moving more to Lars view and would probably not bother now and just stick to cap weighted equity trackers for risk assets, but I continue to hold for the moment. I am finding it hard to justify over weighting this particular equity market sector, despite physical property being an asset class. It is a bit like over weighting gold miners because you want exposure to gold. If my company holds REITs as an investment would that require me to adopt the fair value accounting convention? REITS are securities – shares in property businesses. As such I would have thought you should treat them as any other share. Not totally sure about the PID, but I think this should not be taxable when held in a company, so the same as other dividends. Just my inexpert opinion though. It’s the PID I’m thinking about – it’s not strictly a dividend is it? Even if they exempt it from corporation tax – which I can easily find out – my concern is that they might treat it as the sort of investment that triggers a requirement to do fair value accounting. Which would be a PITB. Mains plumping is certainly a boon to mankind. I’ve been mainly plumping for the last ten years. It’s deplumping I could do with. i didn’t comment on tax considerations, thinking that might go better with the follow-up article. but it’s perhaps worth saying that 1 factor favouring a specific property allocation is that it can – depending on how you get your exposure – be taxed more leniently than investment in trading businesses. when you hold (collective investments in) shares in trading businesses inside an ISA or pension, you pay no income tax on the dividends, and no capital gains tax on the capital gains. but the companies themselves will already have paid some corporation tax (unless they’re involved in dodgy tax avoidance schemes! – which is probably not a good thing for shareholders anyway, because time may be running out on that kind of thing), and you won’t get any of that corporation tax repaid. however, with investment in property, e.g. via REITs or PAIFs, you may be able to receive the gross income generated from the property, with no corporation tax deducted. though this depends on exactly how you invest in property – let’s leave that for part 2. Interesting article. Post-referendum, as I’ve remarked elsewhere, several REITs appear to be priced at attractive levels. Plus all these newer “industrial” REITs, eg BBOX etc. Put it this way: my retirement portfolio is now stuffed with rather more REITs than June 2016! SMart or stupid? Time will tell. Thanks to the investor for a detailed and thoughtful article. On developments, the risk profile can vary hugely from a simple refurb to a demolish/rebuild. It can also be entirely speculative or prelet (i.e. a tenant has already agreed to move in sometimes before you’ve even started building, but certainly before the development has completed). Analysts/investors get very skittish about developments so you’ll generally see a lot of disclosure by management which is helpful. Typical profit on cost is c.20/30% which is a fairly large buffer to protect against an outright loss. It’s worth noting that REITs have to hold their developments for 3 years to be tax-exempt and 75% of assets/income must come from rent which restricts their development activity. People get too focussed on prem/disc NAV. The market and professional valuers are ultimately valuing the same cash flow but viewed differently. The market is valuing all day long through the aggregate decisions of all participants. Valuers do so only once/twice a year. Valuers need comparable transactions between a willing buyer and willing seller as the bedrock for the valuation*. The company is their client and they are loathe to do write-downs. The market will be considering a 1,000 factors and is truly independent. I think it’s much more useful to look at the market implied income yield, find out where the cash is coming from and ask whether you think that reflects the right risk/reward. *Post-Brexit transactions weren’t happening but some of the open-ended funds were requesting valuations even on a daily basis. The valuers themselves (privately) admit it was a totally useless exercise. There often seems to be some confusion and placement of various platforms under the ‘P2P’ umbrella. P2P lending (Funding Circle, Lendy et al) is a completely different product to something like Property Partner. Property Partner (and others) buy property directly, open an SPV, and allow you to purchase shares in the underlying asset. Property Partner then has a secondary market where you can buy/sell existing properties on the platform. I personally think it’s a very innovative way of investing if you want to be a bit more involved than simply buying a REIT, and my returns so far have been very good (and improved by investing in new projects then selling on at a profit on the SM). I can pick and choose which properties and locations I want to invest in, and build up my own mini ‘REIT’. I feel sometimes it gets a bad label because it falls under ‘P2P’, but actually people have no idea what it is. Of course, risk of platform going under, but you do own shares in the underlying assets, so I see it as acceptable. Dividends reliably paid each month and you can structure your ‘portfolio’ toward growth, income, students, resi, commerical etc, whatever you want. @Glenn very good point that’s why i was considering it for part of my holding. From a quick look, Lendinvest and Landbay both look to be P2P lenders. Property Partner, HouseCrowd and Property Moose (to name the most popular 3) are completely different beasts, where you are investing in an asset, not lending for debt. Sorry, yes, Housecrowd does look to be lending. At least with Property Partner/Property Moose, it’s totally different to P2P lending, you are just buying shares in a property (in a crowdfunded way), they are managing it, and you are taking income and any future capital growth/loss. On the other hand, P2P lenders are lenders. You’re crowdfunding a loan that someone is taking out, so it’s completely different. 1) platform risk. no FSCS protection if proper separation of client assets doesn’t happen for any reason. and you are (unavoidably) dealing with rather new and small providers (compared to mainstream platforms). 2) conflicts of interest. p2p property platforms are presumably (hopefully!) run by people who know a bit about the property market, and who also invest in it themselves. why wouldn’t they keep the best opportunities for themselves, and put the ones they don’t fancy so much on the platform? i’m not suggesting they’re trying to do anything very dastardly. but why *wouldn’t* they go for the best opportunities themselves? if they wanted to let in outside investors on equal terms with their own money, why don’t they start a REIT (or some other collective investment)? 3) expertise. do you know enough to pick the better property investments offered via a p2p platform? let’s be realistic: the huge majority of private investors don’t. but perhaps you think you’d be better at it than this than most, just like most people think they’re above average drivers. there is a huge danger of overconfidence in one’s own abilities here. as good monevatorites, we know that with shares, we can know nothing abut which companies’ shares it’s best to buy, and can instead buy passive trackers, and get a better result than most investors, despite knowing nothing! why abandon this insight when it comes to property? 3.1) even if you have some expertise, do p2p platforms even provide enough information for you to make sensible decisions about what to invest in? and that’s an issue even if they are being as honest with you as they can – which we now know that some of the p2p lending platforms haven’t been. i have no reason to suspect the honesty of the p2p property platforms in this respect, but it does matter whether they are honest. they make money by having business done via their platform, so there is another kind of conflict of interest here. 3.2) IMHO, expertise is *more* necessary for picking p2p property investments than for picking individual shares on the stock market. because the stock market a more efficient market. just selecting shares truly at random (which is not what most stock pickers do; following tips is probably a lot worse than buying at random) wouldn’t be all that bad, though diversification would be less good than buying a tracker fund. but the “market” prices on p2p (whether property or lending) platforms could easily be much further out from a sensible value. they are not very deep markets – small enough to keep going on “dumb” money for quite some time. For income investors property is often seen as providing a high yield and diversification. A higher than average yield is certainly true but ITs,REITs and OEICs are highly correlated with the stock market and suffered severely during the 2008 crisis and, in the case of OEICs, were very illiquid. Dividend growth has been negligible during the last 5 years and many reduced payments severely in the years after the market crash. They compare very unfavorably with the majority of the stalwart IT income trusts that maintained or even grew their dividends during and after the crash. The role of commercial property for investors seeking a reliable and growing income is very questionable. Previous post: Weekend reading: What is your reason for being?